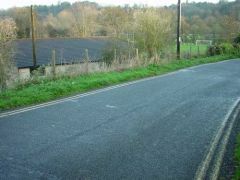 Mill Lane is a fairly long lane that runs from Reading Road to The River Thames next to the weir. 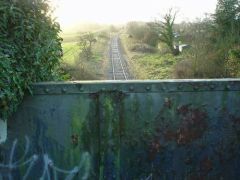 Mill Lane crosses the main Henley-on-Thames railway track. 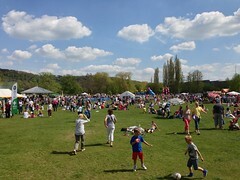 A rare sunny bank holiday sees many enjoying themselves at Mill Meadows this time with the May Fair. 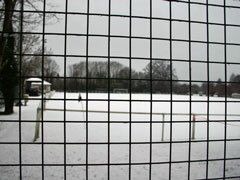 Looking through the perimeter fence at Henley Town Football Club's heavily snow covered football pitch in February 2009. 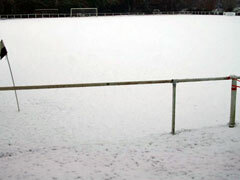 A heavily snow covered football pitch at Henley Town Football Club in February 2009. 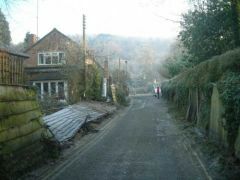 Mill Lane looking towards the river on a cold winters morning in early 2003. 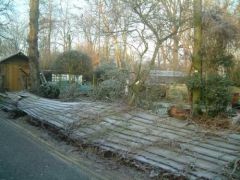 A collapsed fence along Mill Lane during the bitter winter chill of January 2003. 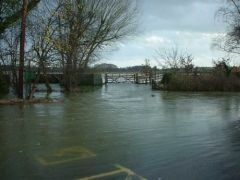 A view from an extremely flooded Mill Lane car park looking towards Mill Meadows during the floods of 2000. 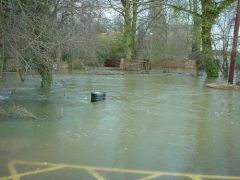 An extremely flooded Mill Lane car park during the floods of 2000. 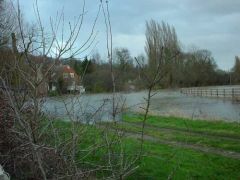 A flooded field at the bottom of Mill Lane during the floods of 2000. 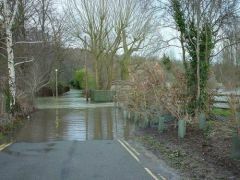 The bottom of Mill Lane during the floods of 2000. 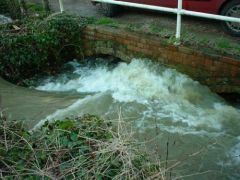 An overflowing drain next to the car park at the bottom of Mill Lane during the floods of 2000. 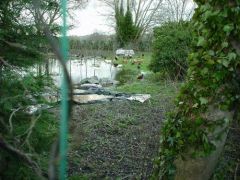 A flooded garden along Mill Lane during the floods of 2000. 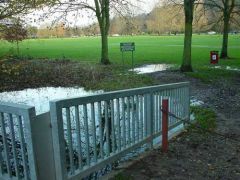 The flooded car park at the end of Mill Lane during the floods of 2000. The small lane that branches off Mill Lane next to the Marsh Lock footbridge. 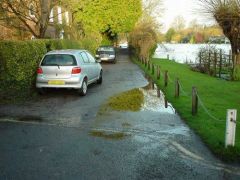 The lane runs alongside The River Thames. The main Henley-on-Thames railway line joins the town to Twyford and goes via Shiplake and Wargrave. 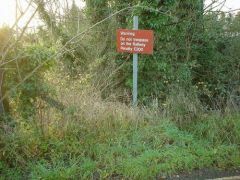 The "No Trespassing" sign that is located next to the railway track along Mill Lane. 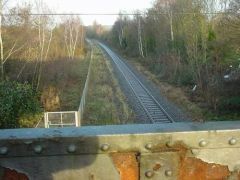 A view of the main Henley-on-Thames railway line from the railway bridge situated along Mill Lane. 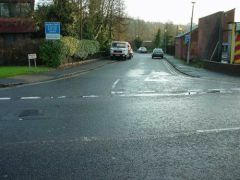 The junction that joins Mill Lane to Reading Road. 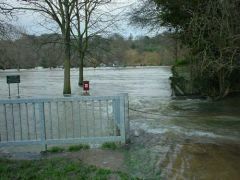 To the right of the picture is one of Henley-on-Thames' petrol stations. 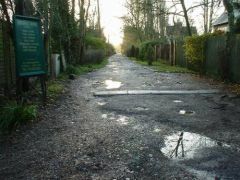 The entrance to a private road that branches off Mill Lane. 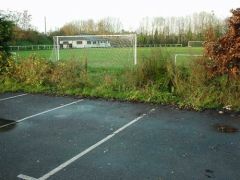 Henley Town Football Club is located next to the car park towards the end of Mill Lane as it reaches Mill Meadows. Mill Meadows is located at the end of Mill Lane. 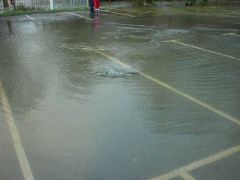 This photo was taken from Mill Lane car park. 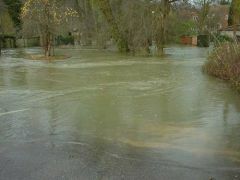 This picture was taken about halfway along Mill Lane. In the distance is the Newtown Football pitch and the River Thames.